Nail Arts da Flavinha: Nova Coleção Top Beauty. New Collection Top Beauty. 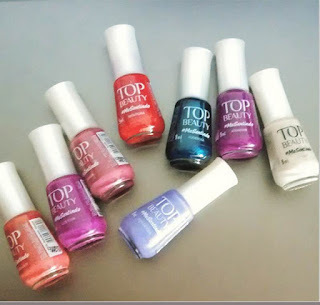 Nova Coleção Top Beauty. New Collection Top Beauty. A Top Beauty está lançando sua nova coleção #Me Sentindo, são oito lindas cores. Vale a pena conferir. The Top Beauty is launching its new collection #Me Sentindo are eight beautiful colors. Worth checking out.